On-the-go moms know this phrase well, with more than 2.8MM search results on Google for coffee & dry shampoo. Why? The pairing of coffee and dry shampoo is the ultimate life hack to get through hectic mornings and busy days, all while rocking beautiful, instantly refreshed hair. To celebrate ladies who are running on coffee and dry shampoo and to let others in on the secret, Dove Hair and Dunkin’ are teaming up to offer up the ultimate life hack: a year’s supply of Dunkin’ coffee and Dove Dry Shampoo. On social, Dove and Dunkin’ are encouraging women everywhere to share how they’re running on coffee and dry shampoo – from the gym, to the carpool, to the board room! 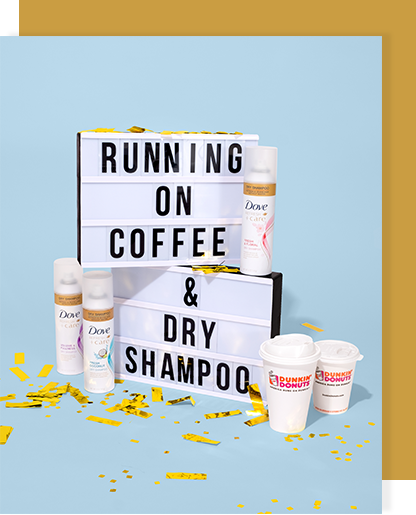 To enter, share a photo of how you run on coffee and dry shampoo on Instagram or Twitter using the hashtags #DoveXDunkin and #DxDSweepstakes for the chance to win the ultimate life hack pack – one year’s supply of Dunkin’ coffee and Dove Dry Shampoo…plus exclusive #DoveXDunkin branded merchandise. 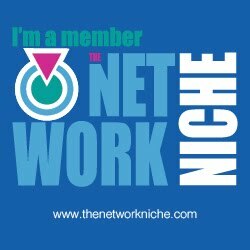 Celebrities like Sara Foster, Bethenny Frankel, Barbara Bermuda and Adriene Bailon-Houghton (+ more surprises!) will also be sharing how they run on coffee and dry shampoo to share the excitement and kickoff the celebration…! § NO PURCHASE NECESSARY. Void where prohibited. Dove Hair & Dunkin’ Donuts Ultimate Life Hack Giveaway is sponsored by Conopco, Inc., d/b/a Unilever. Open to legal residents of the 50 U.S. & D.C., 18 & older. Begins 9:00 a.m. 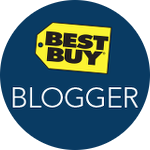 ET on 9/27/18 & ends 11:59 p.m. ET on 11/8/18. For official rules, visit DovexDunkin.com. Bonus! On National Coffee Day, Saturday, September 29, any Dunkin’ guests who purchases a hot coffee will get one free (of equal or lesser value) as a gift to share with their friends, family, colleagues and collaborators who also count on coffee to take on the day.